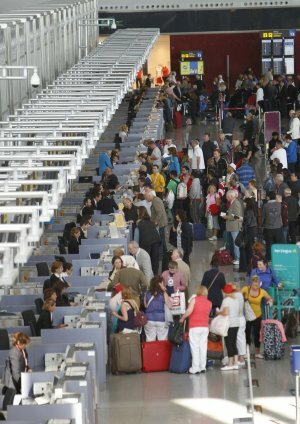 The gateway of tourists to the province, Malaga airport, starts intensifying its activity from today until achieving an average rate of one flight every five minutes. A total of 1,492 aircrafts will operate, moving 250,000 passengers from today until next Easter Sunday, the day with most movement of the whole Easter week in these facilities. In the first part of the Easter Week, since last Friday before Palm Sunday until yesterday, have already gone through these facilities 237,000 passengers on board of 1,467 aircrafts. In the port of Malaga is also tangible the same intensity. In the next five days will arrive at the port six cruisers, of which four are true floating cities. More than 8,550 sea travellers will land in the capital of the Costa del Sol and will do so in time to see the processions of the Holy Week in Malaga.